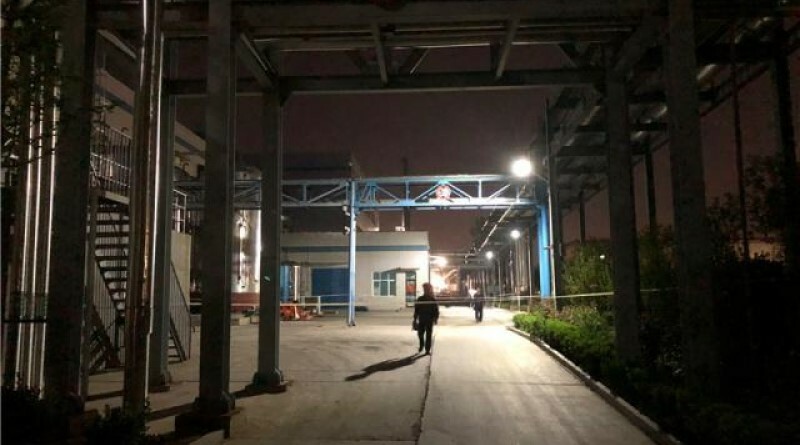 The accident at Qilu Tianhe Pharmaceutical (齐鲁天和惠世制药有限公司) in the provincial capital of Jinan, occurred when welding sparks ignited a fire in an underground tunnel and heavy smoke suffocated the workers trapped inside, according to a brief report in the official Chinese media. The factory had reportedly suffered from several accidents in the past few years including fires in April 2015 and August 2016 and a small explosion in October 2016. In 2016, the company was included in a provincial government environmental blacklist for hazardous waste handling violations. Local residents reported frequent foul odours emanating from the plant. The deaths came just four days after 11 maintenance workers were killed during flash floods in the southern city of Shenzhen on 11 April. The workers were cleaning drainage systems in the city’s downtown Luohu and Futian districts, despite the obvious threat of heavy rain in the area. Twelve workers were trapped inside an underground drainage pipe in Luohu when they were engulfed by floodwater late in the evening. Eight of the workers died at that site while another three were killed when floodwaters hit a work team dredging a riverside drain in Futian. Maintenance and repair workers in China are particularly vulnerable to workplace accidents and account for around ten percent of all the incidents recorded on CLB’s Work Accident Map this year, about the same proportion as coal miners. Two months ago, on 15 February, seven maintenance workers died and another two were hospitalised after being trapped in a waste water tank at a paper mill in the southern city of Dongguan. All nine workers were poisoned by toxic fumes whilst inside the tank, according to official reports. The risks of carrying out repairs and cleaning work in confined spaces are well-known in China but fatal accidents keep occurring on a regular basis. In July last year, four maintenance workers died and another was injured after inhaling poisonous gas at a water treatment plant in Tianmen, Hubei. Two months earlier, on 24 May, three workers were trapped while repairing a sewage pipeline in Taizhou. When their boss attempted to rescue them, he too became trapped and later died from gas poisoning. In March last year, there were two separate incidents in which three workers died while cleaning gas and sedimentation tanks in Sichuan and Shandong respectively. One possible explanation for the high rate of accidents during repair and maintenance work is the lack of communication and coordination between contracted maintenance crews and factory or project managers. Maintenance crews are sometimes not properly briefed on the dangers involved, they may not have the necessary protective clothing or equipment, and maybe unaware of the procedures to follow in the event of an accident. The massive explosion at a chemical plant in Jiangsu that killed at least 78 people last month has highlighted the dangers in the workplace in China. But despite the government’s exhortations to learn lessons from that tragedy and put safety first, basic safety procedures are still routinely ignored at construction sites, infrastructure projects, mines, factories and industrial facilities across the country.